Ebbing oversees the development of the company’s extensive holdings as part of a master-planned community, including a 4,000-acre business park, up-scale residential neighborhoods, a country club and a town center retail district. Before joining The New Albany Company in 1995, Ebbing was Executive Vice President at the Edwards Companies, a respected developer in Columbus. While at the Edwards Companies, Ebbing directed successful projects such as the restoration of the historic Brewery District and the Tuttle Crossing, which included Ohio’s first privately funded interchange. Prior to the Edwards Land Company, Ebbing was project architect for the prestigious architectural firm, NBBJ. A graduate of Miami University of Ohio, Ebbing serves on the boards of the United Way of Central Ohio, Ohio Dominican University, the Jeanne B. McCoy Community Center for the Arts, New Albany Community Authority and the Creative Housing Board of Trustees. He serves as a member of New Albany’s Economic Development Committee and is a past member of The New Albany Community Foundation Board of Trustees. Ebbing lives in New Albany with his wife, Tami and two daughters, Morgan and Claire. As Chief Financial Officer, Mr. Bradbury oversees the financial operations for The New Albany Company and several related entities. 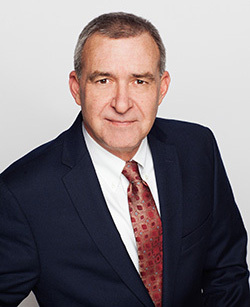 Before joining New Albany Company in 1988, Mr. Bradbury was a project accountant for the John W. Galbreath & Company, a former commercial real estate developer located in Columbus, Ohio. 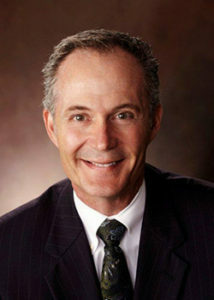 Mr. Bradbury is a Graduate of The Ohio State University and a licensed Certified Public Accountant in the State of Ohio. Mr. Bradbury is also a member of the American Institute of Certified Public Accountants and The Ohio Society of Certified Public Accountants. Mr. Bradbury is married to Susie Bradbury and has two children. As Director of Planning for the New Albany Company, Tom is responsible for long range planning for the Company, oversight of the Architectural Review Committee, and coordination with governmental agencies. Tom has over 25 years of experience in Planning and Development. He holds a Masters Degree in City Planning from The Ohio State University and has worked for several communities throughout Central Ohio. Prior to joining The New Albany Company, Tom was the Director of Planning with MKSK, landscape architects and urban planners here in central Ohio. His professional affiliations include The American Planning Association, Congress for New Urbanism, and the Advisory Council on Rural Policy Research at The Ohio State University. Tom has been with the New Albany Company since January 2000. 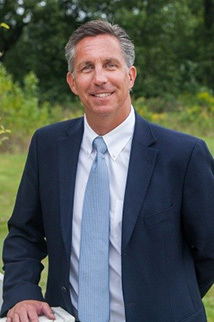 As Director of Real Estate, Roggenkamp oversees the sale and development of The New Albany Company’s commercial land and properties as well as the acquisition of land for future development. Before joining The New Albany Company in 2015, Roggenkamp worked on the New Albany development as an independent consultant and broker since 1989 focusing on land acquisition, land sales and strategic planning. 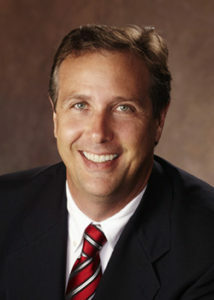 A graduate of Miami University of Ohio and The Ohio State University College of Law, Roggenkamp serves as a Trustee of The New Albany Chamber of Commerce. Roggenkamp is married to Renee and they have two daughters, Lauren and Erica.